The European Union (EU) was founded in 1957. Their first aim was to build a “common market”, but they soon found that without sharing a common currency, their economic goals did not flourish as much as they could. Even so, it was not until 1992 when the Maastricht Treaty enshrined a single currency for the EU. The Euro was introduced on January 1, 1999, when it became the new official currency of 11 Member States. It gradually replaced the old national currencies in two stages. 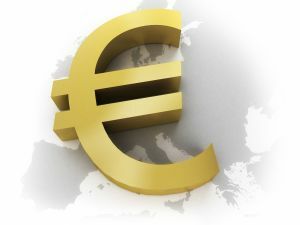 The first stage involved using the Euro only for electronic and virtual payments, while the old currencies were still used for cash transactions. During these cash transactions, old currencies were considered “sub-units” of the Euro. Then, on January 1, 2002, the Euro banknotes and coins were introduced. Not all Member States of the European Union adopt the Euro as their currency. Denmark and the United Kingdom, for example, have opted out via a clause in the Treaty, and many others (including most of the newest Member States and Sweden) have not yet met the conditions to adopt the Euro as their single currency. Once they do meet the conditions, their old national currencies will be replaced with the Euro. In 1999, Belgium, Germany, Ireland, Spain, France, Italy, Luxembourg, the Netherlands, Austria, Portugal and Finland adopted the Euro as their currency. Greece switched to the Euro in 2001, followed by Slovenia in 2007, Cyprus and Malta in 2008, ad Slovakia in 2009.